In case you haven’t noticed, we love dessert. Whether it’s a simple scoop of Maple Valley Ice Cream or a decadent chocolate molten soufflé cake, we want a bite and then some. And while we are equal-opportunity dessert eaters, one our favorite forms of post-dinner sweetness is pudding. Rice, Indian, tapioca, banana - you name it, we’ll eat it. Did you get the Saveur magazine in which Gabriella Gershenson, a Berkshire food devotee, wrote about Berkshire Mountain Bakery? 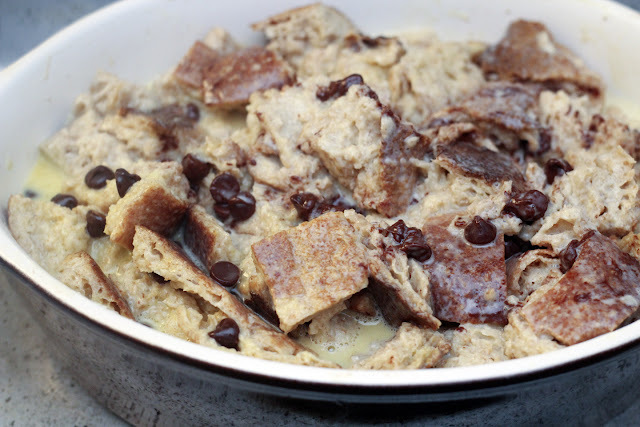 In addition to waxing poetic about owner Richard Bourdon’s unique baking process, she asserts that their chocolate ciabatta is perfectly fit for bread pudding. Well, we had to try it – and right away. We jumped in the car and headed to the Co-Op, only to discover that they were sold out! Not to be deterred, we grabbed a discounted day-old BMB peasant loaf, some chocolate chips and headed home to improvise. Looking through our cookbooks, we flipped across so many delicious sounding variations on the classic recipe. 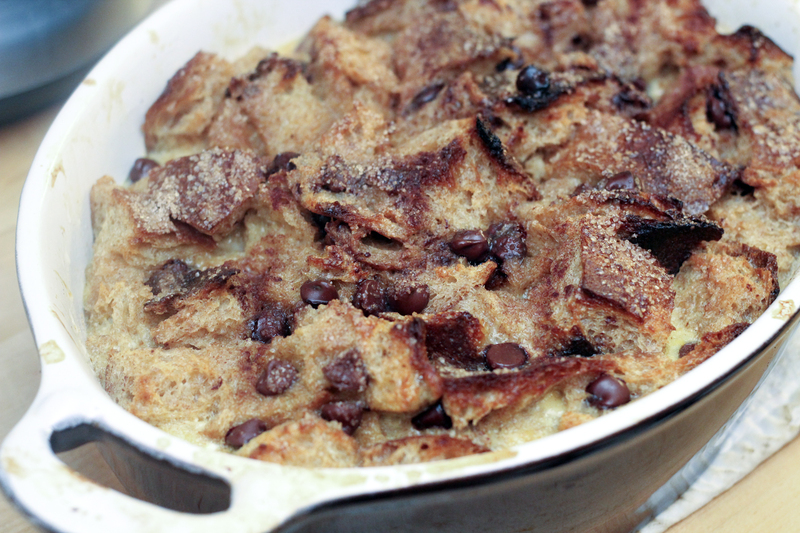 Chocolate bread pudding, brown-butter bread pudding, bourbon bread pudding... being the gluttons that we are, we decided that there was no harm in having it all once in a while. 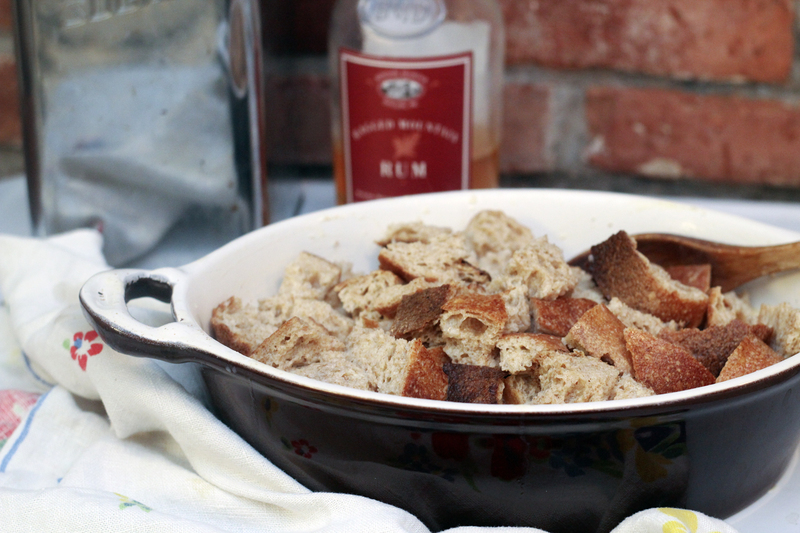 So after a few preparatory shots of Berkshire Mountain Distillers rum, Silka got down to the business of making the most sinful bread pudding possible. 1. Preheat oven to 350 degrees. Over low heat in a small saucepan butter, half and half, maple syrup, cinnamon, salt and liquor until the butter just melts. In the meantime, butter an 8x8 baking dish or a casserole that fits 1.5 quarts. 2. Put bread pieces into casserole and pour the slightly cooled milk mixture on top. Let sit for a few minutes, submerging any pieces of bread that rise to the top. 3. Beat the eggs lightly, and pour over the bread mixture along with the chocolate chips. Stir gently, being careful not to tear up too many of the bread pieces. 4. Bake for 45 minutes. The center will be a little wobbly still, but it will set as it cools. Serve warm.